Thank you to all those who attended the AGM tonight. The main news from tonights meeting is the election of a new captain in Kev Stannard and vice captain Richard Ogle. Congratulations to them, they both live in the village which is an important factor and will do a great job. Membership and match fees were held at last years rates of £20 and £3. Nets will once again be held on Sunday afternoons before and during the season. The annual dinner will again take place in March at the Coore Arms. The club are looking into entering a cup competition for next season to add a few more games. Each player will receive one of these fantastic Grey-Nicolls playing shirts once their annual membership is paid. Membership has been reduced this year from £25 to £20 so this is an amazing offer. Please get in touch via facebook, twitter or email and I will even deliver your shirt! 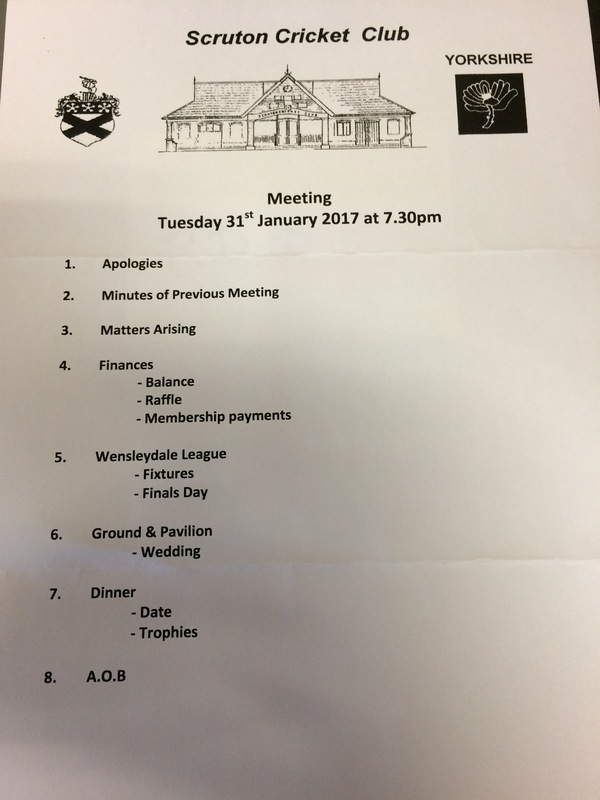 The next committee meeting is on Tuesday 31st January at 7.30pm at the Coore Arms. This years Christmas Draw will take place on Thursday 22nd December at 9pm in The Coore Arms. Tickets cost 50p each in books of five and are available from all members, email ianplace@me.com or twitter @scrutoncricket. Prizes include wine, spirits, beer, chocolate and a fresh goose. Please try and get down to the pub and support what is always a fun night in the lead up to Christmas.